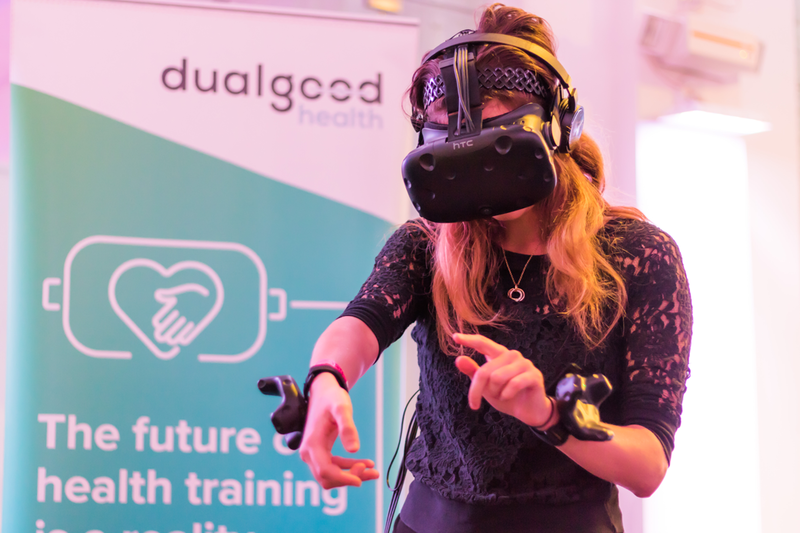 The London-based startup Dual Good Health has created a Virtual Reality application to be used in first aid courses in the UK. The application immerses trainees in a realistic training scenario where they have to perform emergency response actions in a virtual world. Virtual Reality grew at a steady pace during 2017. The AR/VR industry is a billion dollar market and is expected to reach $120bn in the next few years. This is led by more demand from the B2B sector. More research has been undertaken to prove the benefits of VR training in China and the US to suggest that there is a measurable improvement on performance in students that learn via VR in comparison to traditional learning. “In Virtual Reality, anything is possible. The simulation that VR creates can benefit a variety of sectors, from medicine to art. When it comes to emergency first aid training, the goal is to simulate an emergency scenario where the trainee will follow the correct order of all actions that need to be taken in a stressful situation ” says Anna Stoilova, co-founder and CEO of Dual Good Health. Dual Good Health has been working on both HTC Vive and Google Daydream versions of the training software. The Google Daydream version will be used for the first release of the course, with the full HTC Vive experience to be released at the end of the first quarter of 2018. The VR content will include danger, response, airway and breathing checks, as well as AEDs and CPR practice. The product features a realistic environment with high-end graphics, with a street layout very much inspired by a street in Shoreditch, where the startup resides. Dual Good Health’s mission is to empower training providers to deliver more engaging training, so that more people are interested in learning how to save lives.